Following the announcement last year that AEG Live had acquired the exclusive rights from Hackney Council to host events next summer at Victoria Park, Field Day has now confirmed that it will relocate to south London for this year's event. 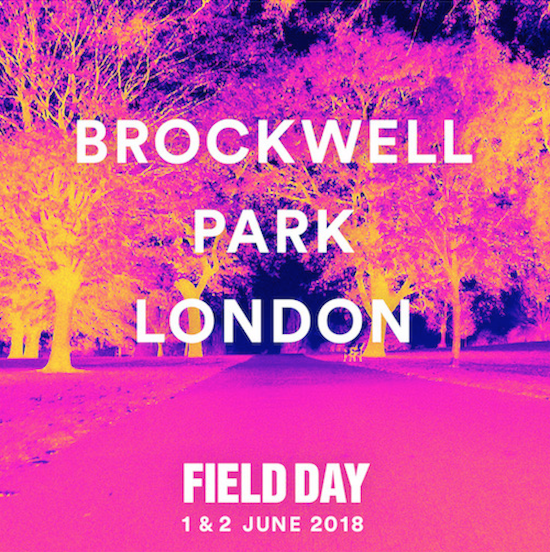 Set to take place at Brockwell Park after 11 years in Victoria Park, the line-up for this year's event, which takes place on June 1 and 2, will be revealed this Monday (February 5). You can sign up for access to early bird tickets here and check these pages on Monday for the line-up news. Read our round-up of last year's Aphex Twin-headlined events at Victoria Park here.